Best ever flaky buttermilk biscuits are coming your way. No joke. If you’ve ever used those biscuits from a can because you thought you couldn’t get flaky biscuits at home or it took too much time, my friend, you shall never return to those again. Seriously, never again. Thou must use buttermilk. The higher acid content does wonderful things to the texture of baked goods, especially in no knead baked goods like pie crust and biscuits. Buttermilk is your secret to flakiness. Both this recipe and how to make your own cultured buttermilk are just two of the over 100 recipes found in my new book Hand Made: the Modern Guide to Made-from-Scratch Living. Don’t have buttermilk, you can take 1 cup milk and add 2 Tablespoons lemon juice, let sit until nice and thick. Thou shall only use cold butter. I’ve tried frozen butter and didn’t like the texture as well as using cold butter. Nor did I like the little flakes from grating it. Cut into cubes and cold from the fridge is a must. Thou shall not over handle the dough. 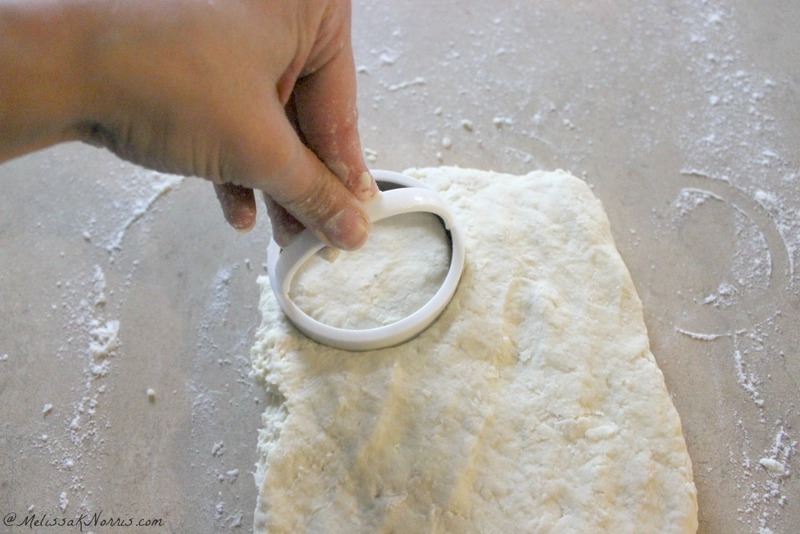 Over handling the dough creates tough hockey puck biscuits. Follow the instructions exactly for best results…. I sound like I could be a drill sarge huh? Thou shall only use a metal biscuit cutter! I know you’ve been told you can use a cup turned upside down, but that results in short squatty biscuits, no one wants a squatty biscuit. It pinches the edges of the biscuit down so it can’t rise. You my friend, deserve mile high biscuits. Use a metal cutter. Thou shall not be a biscuit twister. When you push the biscuit cutter down, don’t twist! Twisting pinches the sides, push straight down and lift straight up. Boom! Ya got this. Find old-fashioned cooking for a busy home without spending all day in the kitchen, get more recipes (over 100) like these easy buttermilk biscuits ready to eat in just 20 minutes including baking time in your copy of Hand Made: the Modern Guide to Made-from-Scratch Living. Psst, don’t forget to claim your bonuses here. Stainless steel biscuit cutters, you read tips 4 and 5 above, right? Pastry cutter, I know, people say you can use forks, but I won’t be without a real pastry cutter for biscuits and pie crusts. This one is stainless steel with a wooden handle. Mix up your dry ingredients and then bring your butter out from the fridge. Cut it lengthwise in half, then in half again, and then cube it on up. 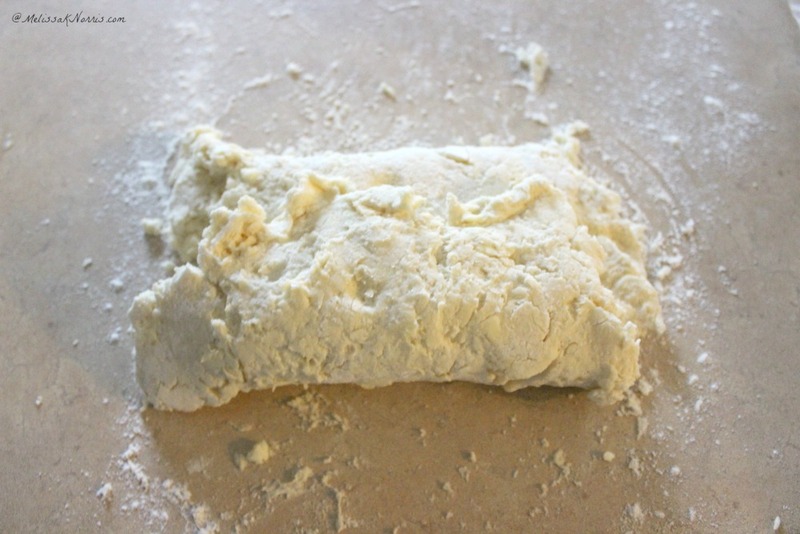 Use a pastry cutter and work in the butter until it looks like itty bitty pea size clumps with the dry ingredients. Add the honey and 3/4 cup of buttermilk till it sticks together on itself. 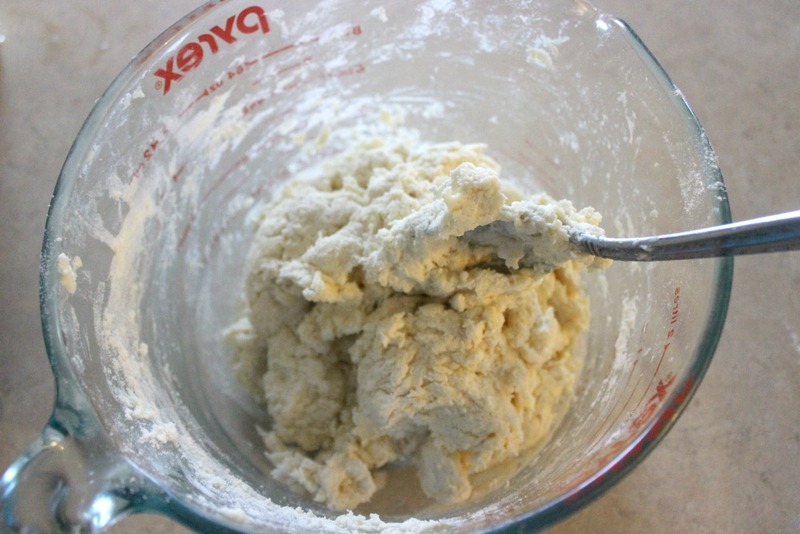 If you need to add the rest of the 1/4 cup, go ahead, but it should be a shaggy type dough, not smooth. 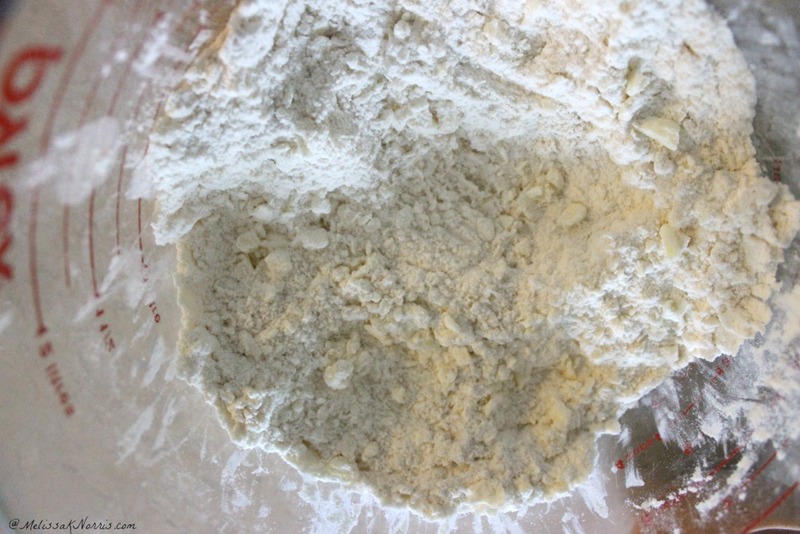 Lightly dust the counter top with flour and dump your dough out. Gently pat it into a 1/2 inch rectangle. It should be slightly tacky, if it sticks to your fingers, lightly (and I mean lightly) dust the top with flour. Fold into thirds, turn it vertical, and pat back out into a rectangle, fold into thirds and repeat once more (a total of 3 times patting and folding). On the final 3rd pat out, cut out your biscuits. You’ll get six biscuits and then push the scraps back together for the last two biscuits. 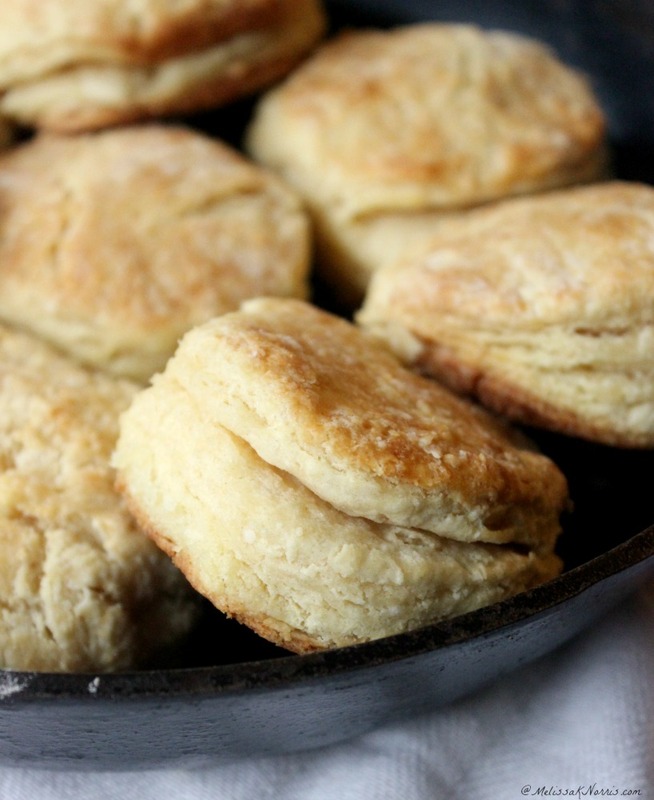 Place your biscuits into a cast iron skillet (because everything tastes better in either a Mason jar or a cast iron skillet). And because the skillet pushes them up even more sky high. Try not to burn your mouth as you inhale these delicious bits of melting heaven. 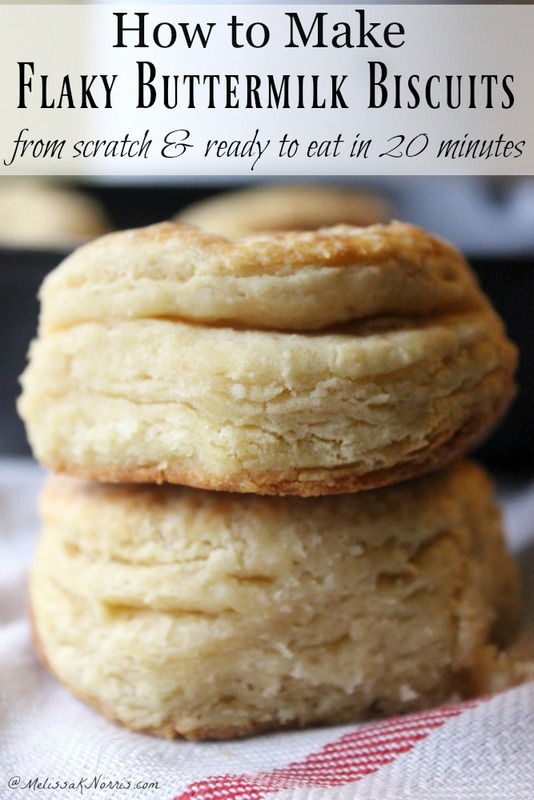 Flaky buttermilk biscuits from scratch, with these easy tips you’ll turn out delicious melt-in-your-mouth biscuits every time. 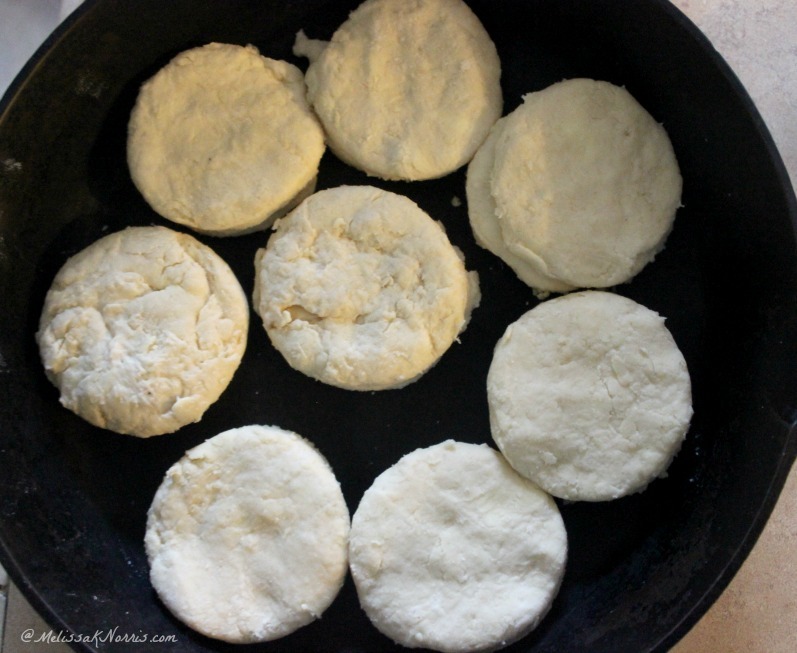 Place biscuits in cast iron skillet (or a baking sheet) and bake for 15 minutes or until golden on top. You can cut out the biscuits, place on a cookie sheet and freeze for 15 minutes, then place in a freezer container. To bake, put frozen biscuits in the cast iron skillet or baking sheet and bake from frozen, increasing bake time by 3 to 4 minutes. 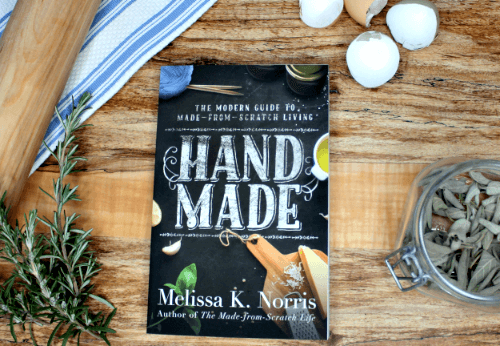 You did go check out all the bonuses, including freebies, with your copy of Hand Made, right? Whew, good! 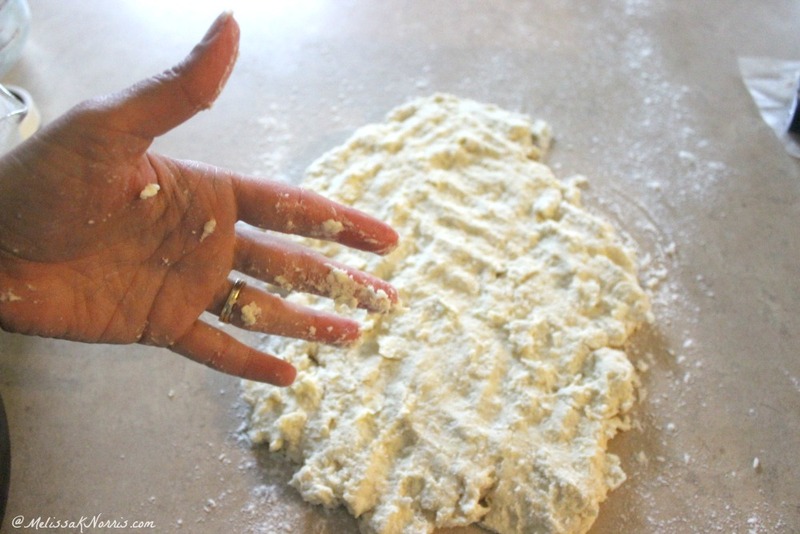 What’s your favorite way to eat buttermilk biscuits?